For most, Pi Day is an annual excuse to indulge in a big slice of delicious pie. But this year, one couple is taking their Pi Day celebrations to the extreme with a March 14 wedding at a local pizza shop. 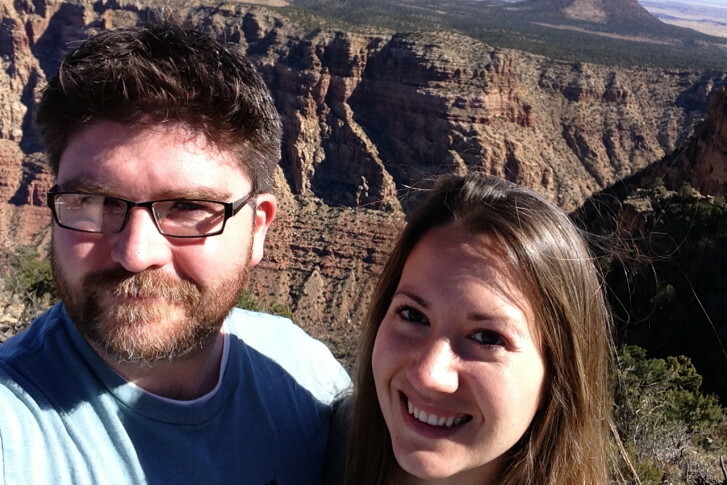 WASHINGTON — Arlington resident Katie Hendrickson loves three things: math, pizza and her fiancé — in no particular order. And that combination made her decision to get married in a D.C. pizza shop on Saturday, March 14, an easy one. After all, Saturday is Pi Day, the annual celebration of the mathematical constant that shares its first three digits with the date (3.14). “And this year is a really epic Pi Day, because the year is 2015 and the next two digits of the decimal expansion of pi is 3.1415,” says Hendrickson, 30, a middle-school math teacher. In more recent years, Pi Day has morphed into a holiday of sorts: Bakeries whip up pies decorated with the constant’s symbol (π), pizza parlors sell slices for $3.14 and bars discount their brews. The town of Princeton, New Jersey, even commemorates the day with a festival. At first, Hendrickson was slightly apprehensive about tying the knot on Pi Day. “I asked a couple of friends, ‘Is this too nerdy? Are we going too far by choosing Pi Day?’” The resounding answer was “no,” Hendrickson says, so the couple decided to lock down the date. The spot for the nuptials, however, was suggested by photographer and Pop! Wed Co. co-owner Maggie Winters, “because of the fun pizza pie tie-in,” Hendrickson explains. 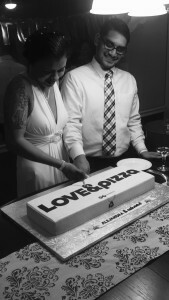 The couple will exchange vows at U Street’s &pizza, whose “Love &pizza” printed to-go boxes keep with the theme of the day. A small group of family and friends will come into town for the wedding, but it’s likely strangers — or, rather, the restaurant’s normal customers — will be in attendance as well. But that doesn’t bother Hendrickson. “If people are there, I think it will make it even more fun,” she says. There won’t be a traditional cake-cutting after the short pop-up ceremony, but the new couple does plan to share a pizza as husband and wife — an act that will require compromise. “He tends to like meat and I am a vegetarian,” Hendrickson says. When asked whether she plans to have any other pi- (or pie)-themed items at the wedding, Hendrickson said she’s not planning on it.